Time. To. Save the day! We just got the message that there's a dangerous threat to the community. Luckily, you know a little guy or gal who has the gusto to step up and help make the situation safe. The only thing we need to do is to outfit them for the mission. Luckily, we have just the thing. 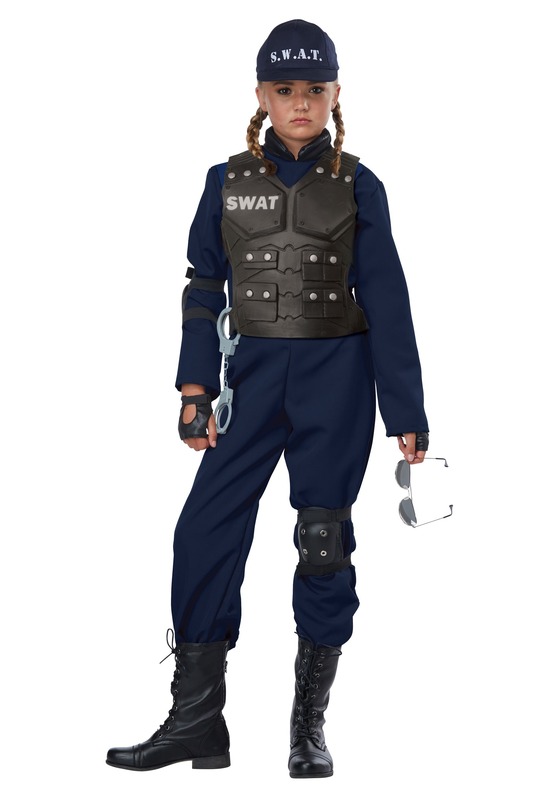 This Child Junior SWAT Costume! Styled just like the stuff you see in the movies, this realistic costume will have them ready for a mission this Halloween. Fortunately, the mission parameters involve securing a large stash of trick-or-treat candy, and won't involve any bad guys. Now that sounds like a Halloween full of fun! As one of the most popular themes for kids, we always love it when a new crop of police costumes comes in. 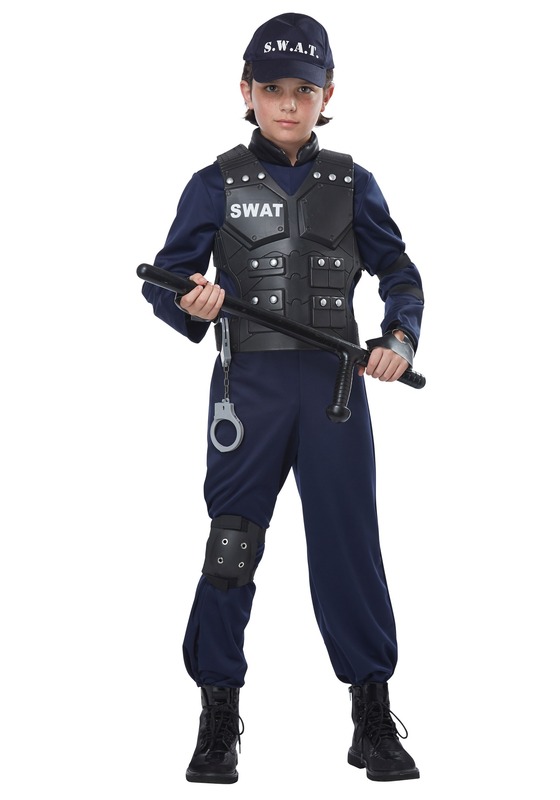 And this Kid's Junior SWAT Costume is one that really stands out! It comes with a jumpsuit, kneepad, elbow pad, vest, and hat. All done up in special police unit style! The suit comes in dark navy blue and has a padded foam collar. The plastic vest has plenty of detail, with SWAT printed right on the front, too. Have them wear the kneepad and elbow pad as desired, and then just complete the look with the hat and a pair of boots. The boots and other accessories we have it pictured with are sold separately. For playtime or for the best Halloween ever, we're your top spot for all things costume. We do, after all, have the world's largest selection! Browse our entire lineup to check out all of our Made by Us, top trending, and best-selling items. One thing's for sure, when you team up with HalloweenCostumes.com, we're going to own Halloween!